The rumors of how Li Bai (also known as Li Po) met his end are greatly exaggerated. The specifics are murky, ranging from alcohol poisoning to drowning while chasing after the moon’s reflection on the surface of a river. It may seem troubling how easily the pertinent details of one of China’s best-known literary icons are lost. However, given that Li often embellished his speech and never liked to stay in one place for too long, his multiple-accounts demise is oddly appropriate. MCLC and MCLC Resource Center are pleased to announce publication of Shana Ye’s review of Boy’s Love, Cosplay, and Androgynous Idols: Fan Cultures in Mainland China, Hong Kong and Taiwan (HK University Press, 2017), edited by Maud Lavin, Ling Yang, and Jing Jamie Zhao. The review appears below and can be read online at: http://u.osu.edu/mclc/book-reviews/shana-ye/. My thanks to Jason McGrath, MCLC media studies book review editor, for ushering the review to publication. Maud Lavin, Ling Yang, and Jing Jamie Zhao, eds. 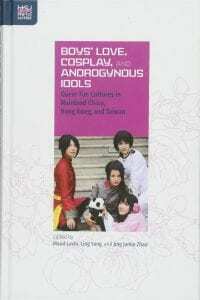 Boys’ Love, Cosplay, and Androgynous Idols: Queer Fan Cultures in Mainland China, Hong Kong, and Taiwan. Hong Kong: Hong Kong University Press, 2017. 292 pp. ISBN 978-9888390809 (hardback $60). 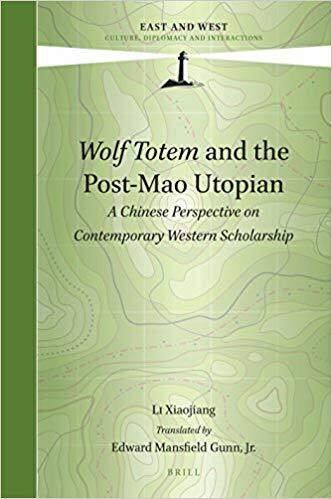 MCLC and MCLC Resource Center are pleased to announce publication of Yiyan Wang’s review of Wolf Totem and the the Post-Mao Utopian: A Chinese Perspective on Contemporary Western Scholarship (Brill 2018), by Li Xiaojiang and translated by Edward M. Gunn. 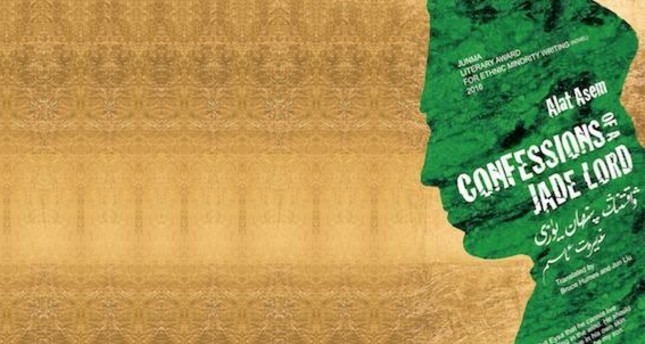 The review appears below and at its online home: http://u.osu.edu/mclc/book-reviews/yiyan-wang/. My thanks to Nicholas Kaldis, MCLC book review editor for literary studies, for ushering the review to publication. 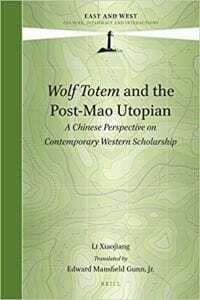 Li Xiaojiang, Wolf Totem and the Post-Mao Utopian: A Chinese Perspective on Contemporary Western Scholarship Tr. Edward Mansfield Gunn. Leiden: Brill, 2018. Ix-xviii + 574. ISBN: 978-90-04-27672-7 (Hardcover). MCLC and MCLC Resource Center are pleased to announce publication of Jeremy Tai’s review of Revolutionary Fascism, by Maggie Clinton, and China’s Conservative Revolution, by Brian Tsui. The review appears below and online at: http://u.osu.edu/mclc/book-reviews/jeremy-tai/. Maggie Clinton, Revolutionary Nativism: Fascism and Culture in China, 1925-1937 (Durham: Duke University Press, 2017). 280 pp. ISBN: 9780822363620 (cloth), ISBN: 9780822363774 (paperback). Brian Tsui, China’s Conservative Revolution: The Quest for a New Order, 1927-1949 (New York: Cambridge University Press, 2018). 304 pp. ISBN: 9781107196230 (cloth). Li Bai towers over Chinese literature. But few have attempted, in English, to explain the man behind such household poems as “Quiet Night Thoughts,” “Waking from Drunkenness on a Spring Day,” and “Drinking Alone by Moonlight” — how an itinerant drunk with political aspirations would end up becoming the greatest poet in Chinese history. Li Bai (701-762), also known as Li Bo or Li Po, was a poet during China’s Tang Dynasty (618-907), amassing a legacy over his lifetime that would be surpassed by none. Yet few outside of the Chinese-speaking world know his name. Luckily, that may be about to change. Xuefei Jin (pen name Ha Jin), a National Book Award recipient (for Waiting) and creative writing professor at Boston University, has written a new biography of Li Bai called The Banished Immortal: A Life of Li Bai, which is available through Pantheon Press as of yesterday. His work gives the English-reading world access to a wealth of information about one of China’s greatest cultural icons, someone as revered as Shakespeare is in the West. 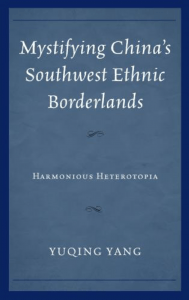 MCLC and MCLC Resource Center are pleased to announce publication of Yanshuo Zhang’s review of Mystifying China’s Southwest Ethnic Borderlands: Harmonious Heterotopia (Lexington 2018), by Yuqing Yang. The review appears below and at its online home: http://u.osu.edu/mclc/book-reviews/yanshuo-zhang/. My thanks to Nicholas Kaldis, MCLC literary studies book review editor, for ushering the review to publication. In Chinese literary scholarship in the U.S., the literary and cultural achievements made by China’s ethnic minority groups (shaoshu minzu 少数民族) remain a largely uncharted territory in clear need of more serious investigation. Some recent scholarship on ethnic minority literatures in China includes Mark Bender’s edited ethnic poetry anthology The Borderlands of Asia: Culture, Place, Poetry (Cambria Press 2017) and the chapters on Tibetan literature and the ethnic concerns of the prominent modern writer Lao She (老舍) in Sinophone Studies: A Critical Reader (Columbia University Press 2013). 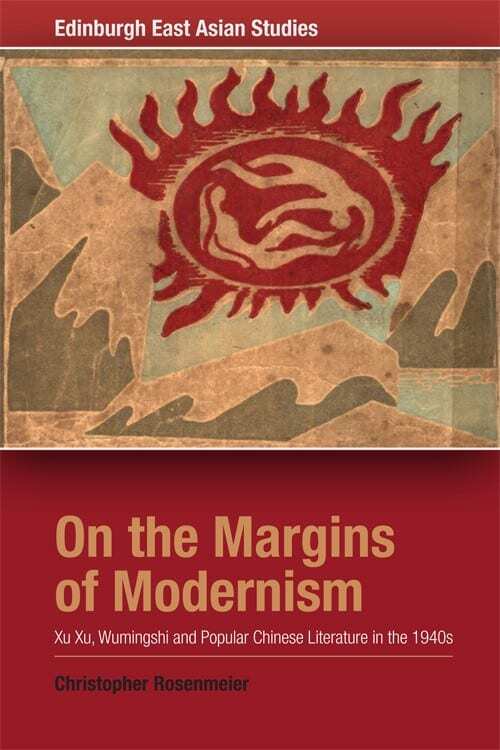 MCLC and MCLC Resource Center are pleased to announce publication of Angie Chau’s review of On the Margins of Modernism: Xu Xu, Wumingshi and Popular Chinese Literature in the 1940s (Edinburgh UP, 2017), by Christopher Rosenmeier. The review appears below and online at: http://u.osu.edu/mclc/book-reviews/angie-chau/. My thanks to Nicholas Kaldis, MCLC literary studies book review editor, for ushering the review to publication. 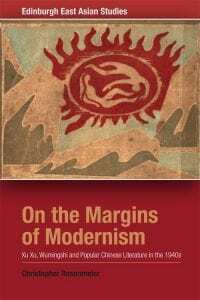 Christopher Rosenmeier, On the Margins of Modernism: Xu Xu, Wumingshi and Popular Chinese Literature in the 1940s Edinburg: Edinburgh University Press, Edinburgh East Asian Studies Series, 2017. vi, 139 pp. ISBN: 9780748696369 (Hardback) // ISBN: 9781474444477 (Paperback: March 2019). Up to now, Xu Xu 徐訏 (1908–1980) and Wumingshi 無名氏 (1917–2002), two of the most widely-read writers in the 1940s, have been neglected in English-language literary studies of modernism during the Republican period. 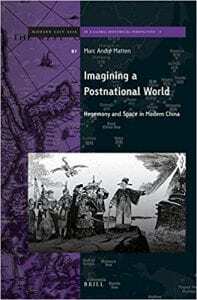 Christopher Rosenmeier’s On the Margins of Modernism: Xu Xu, Wumingshi and Popular Chinese Literature in the 1940s aims to correct that oversight by providing readers with ample translations and clear textual analyses of the writers’ (lesser known) works. 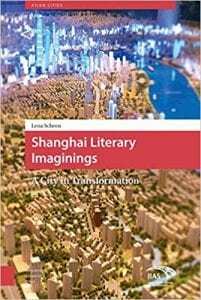 MCLC and MCLC Resource Center are pleased to announce publication of Andrew Field’s review of Shanghai Literary Imaginings: A City in Transformation (Amsterdam UP, 2015), by Lena Scheen. The review appears below and online at: http://u.osu.edu/mclc/book-reviews/field/. My thanks to Nicholas Kaldis, MCLC literary studies book review editor, for ushering the review to publication. 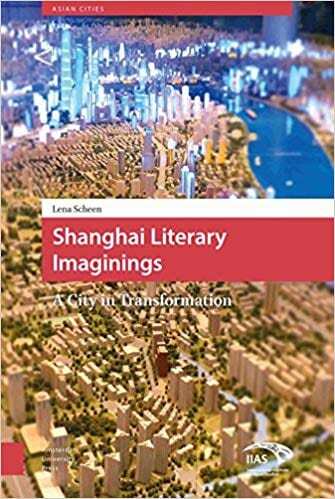 Lena Scheen, Shanghai Literary Imaginings: A City in Transformation Amsterdam: Amsterdam University Press, Asian Cities Series, 2015. 284 pp. ISBN: 9789089645876 (Hardcover), E-ISBN: 978904852223 1 (PDF). 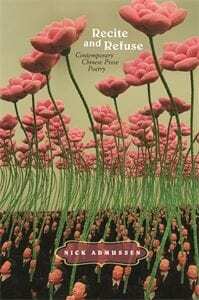 MCLC and MCLC Resource Center are please to announce publication of Paul Manfredi’s review of Recite and Refuse: Contemporary Chinese Prose Poetry (University of Hawaii Press, 2016), by Nick Admussen. The review appears below and at: http://u.osu.edu/mclc/book-reviews/recite-and-refuse/. My thanks to Nicholas Kaldis, MCLC literary studies book review editor, for ushering the review to publication. Chinese women have been awakening for a number of times: the late Qing early Repulican era, after 1949, after the reform and opening of the 1980s, etc. There always was a relapse on account of the resistance from conservative (male) forces. When can they finally wake up completely? 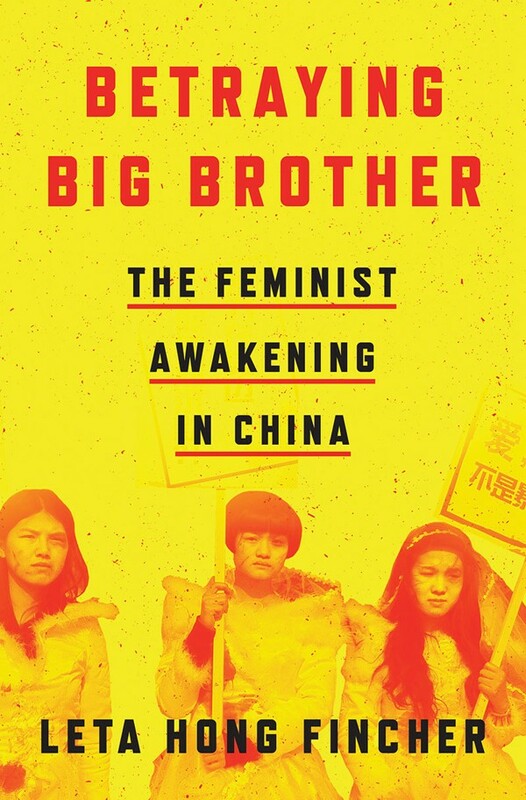 The reach of Betraying Big Brother: The Feminist Awakening in China goes far beyond its main story, of a determined group of feminist activists. At its core, the book is about the push and pull between a conservative government and an increasingly brazen population. It is a study of modern China – its politics and popular culture, and the dizzying rate of societal change in the digital era. While female activists serve as the heroines, a similar tale could be told of other groups working for social progress, whether in labour rights or the environment. Marija Todorova reviews Mang Ke’s poetry collection and considers the significant role played by translators in such projects. Mang Ke, October Dedications, trans. Lucas Klein, Huang Yibing and Jonathan Stalling (Zephyr Press, 2018), 131pp. 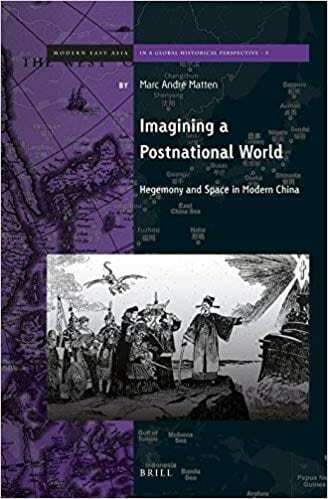 MCLC Resource Center is pleased to announce publication of Ban Wang’s review of Imagining a Postnational World: Hegemony and Space in Modern China (Brill 2016), by Marc Andre Matten. The review appears below and online at: http://u.osu.edu/mclc/book-reviews/banwang3/. My thanks to Nicholas Kaldis, MCLC literary studies book review editor, for ushering the review to publication. 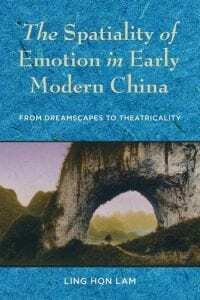 MCLC Resource Center is pleased to announce publication of Haiyan Lee’s review of The Spatiality of Emotion in Early Modern China: From Dreamscapes to Theatricality (Columbia UP, 2018), by Ling Hon Lam. 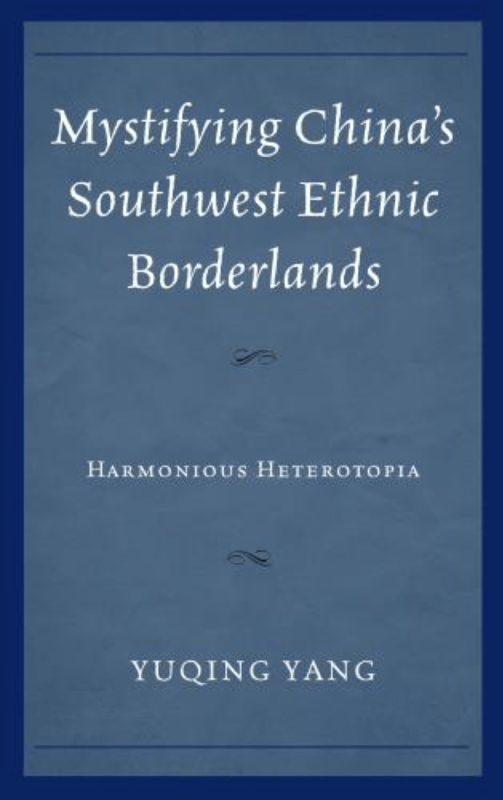 The review appears below and online at: http://u.osu.edu/mclc/book-reviews/haiyanlee2/. My thanks to Nicholas Kaldis, MCLC literary studies book review editor, for ushering the review to publication.